Ah, the rumor mill is turning early today! E4G quoted the Official PlayStation Magazine yesterday - specifically the "Secret Games" section - wherein it was deduced from several sources that three major sequels are being developed for a 2010 release. First to bat was Killzone 3, supposedly "deep in development", according to an industry insider. Maybe this explains why co-op was twice considered as an add-on for Killzone 2, then dropped for good...we can only hope that the considerations have carried over to any new projects that may be in the works. 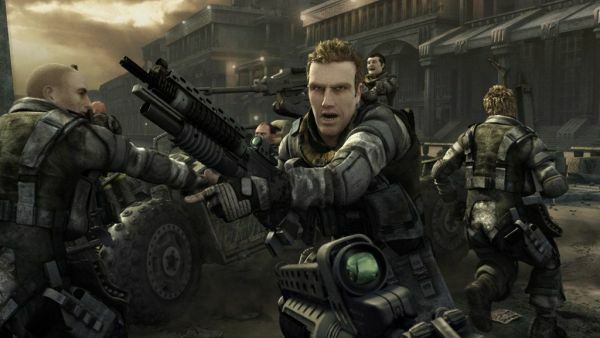 The other two titles rumored to be under way are Resistance 3 and a Call of Duty: World at War sequel, both with high possibilities for co-op. The former claim is supported by a prop billboard caught on the set of the movie Battle: Los Angeles, currently filming. The latter has significantly less credibility, thanks to an earlier report that the next Call of Duty title by Treyarch would feature the Vietnam conflict. Page created in 0.5681 seconds.